This was the first leg of the playoffs and it was a well-fought match. A draw was probably a fair result and I think it could have have honesty gone either way. Mick McCarthy said this about his team. I would say it was a terrific, hard-fought football match. When two teams are competing for a big prize it will never be expansive football. I thought it was a good game, for us we’d like to be in front but there’s no away goals that count. I’ve always been proud of my team, and to go behind when we were on top and come back shows everything that my team’s about. I do think that Mick’s method of motivating the team is a lesson to everybody. I’ve just looked up the odds of the four teams left of winning the Championship on Betfair. That is all pretty close to me without a warm favourite, although we’re probably get a Middlesbrough-Norwich final. Greater Anglia have hired Virgin’s back-up train or Pretendolino, which is a locomotive-hauled rake of Mark 3 coaches. I travelled to the Ipswich on this train today. The red roofs are a give-away. One thing you notice is that the quality is a lot better than most of Greater Anglia’s coaches. I walked today from the Museum of London to Liverpool Street, looking for evidence of Crossrail and the area’s rich history. Unfortunately, Crossrail has closed the archaeological site at Liverpool Street station, so they can start building the new station. So if you’ve not seen it, then you’ll have to make do with my pictures. 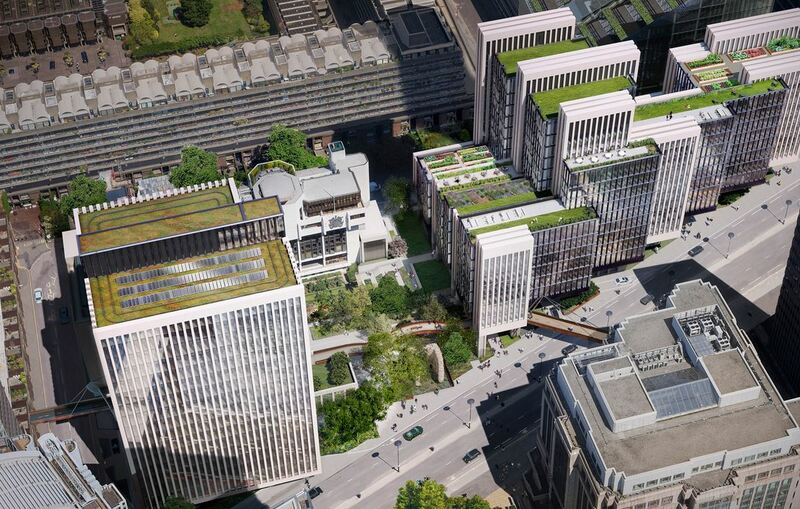 London Wall Place looks to be a quality development, that will sit over Crossrail’s Big Hole in the Barbican. I clipped this picture from their gallery, where it is one of several very informative images. From the picture, it would appear that the walkways that have been removed that connected the flats in the Barbican to walking routes to the Bank and the south, are being recreated. It’s certainly a lot better than the dreadful square office blocks that used to line London Wall, when I lived in the Barbican in the 1970s. When I first saw the EdStone, I thought Miliband had not only fallen off his trolley, but crashed it in a big way and given himself a serious brain injury. Ed Miliband doesn’t have enough common sense to run a whelk stall! At least the electorate, who on average have a lot more intelligence that Miliband, have consigned him and his leadership of the Labour Party to the dustbin of history. He may have left the Labour Party in such a state, that no sane and sensible person will ever want to lead it voluntarily. With the election hogging the news, some things haven’t been given full coverage by the media. One is Elon Musks idea of the Powerwall, which is a battery storage device for electricity, described in this article in the Guardian and another piece on uSwitch. This may all look like an expensive toy or gimmick perhaps with a few specialist applications, but I believe it is a technology that could become commonplace in the future. The flow is with this device and as my trip on a battery-assisted train at Manningtree showed, btteries are no longer something to power milk-floats. Using a battery in a modern energy-efficient home or business, which perhaps has a roof covered in solar panels is an interesting way of cutting out paid-for electricity, for a hopefully one-off purchase and installation payment. I wouldn’t buy one now, as although the Powerwall is deliverable now, improvements in battery and solar panel technology will mean that the systems available in a few years will store and generate more electricity in a more affordable manner. I also suspect, we’ll see replacement window glass units, that can either let light through or capture it for electricity. We will also see much better control systems, although I suspect the the one Powerwall has is pretty sophisticated. So I’m hanging back now, but I will be looking to put solar panels on my flat roof in anticipation of these better storage systems. Musk is right, when he says that energy storage is going to revolutionise the world. But I do think that there will be a host of better or improved ways to do it. 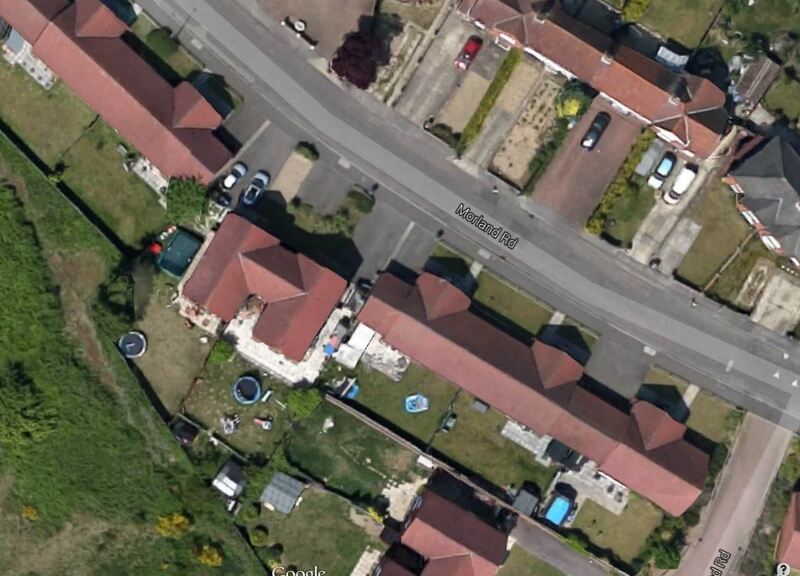 But there is work to do, as this image of south-facing roofs in Ipswich shows, solar panels are notable by their absence. In a few years time, this image will show lots of solar panels. It is another case of giving the engineers the money to finish the deveopment and householders the right sort of finance for installation, so everybody can realise the dream of a house that doesn’t use any paid-for electricity.